The most successful sitcom of the decade gave us the hapless Frank and his long-suffering wife Betty with catchphrases galore and a never-ending list of disasters with roller-skating escapades and runaway chickens. Joe Pasquale is a national comedy treasure and is one of the hardest working and top-selling live comedians in British comedy today. He exploded onto our tellies in New Faces and went on to win I’m A Celebrity Get Me Out of Here and host The Price is Right. And Susie Blake’s incredible career includes Wicked, Blithe Spirit and had us in stiches in The Victoria Wood Show. Some Mothers Do ‘Ave ‘Em is directed by the award-winning Guy Unsworth. 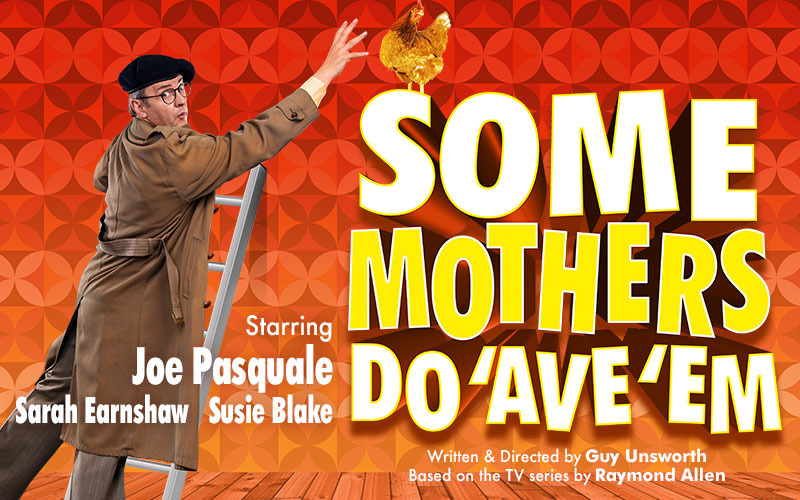 Some Mothers Do ‘Ave ‘Em is visiting 21 theatres nationwide, for more information and to book your tickets, please visit the Some Mothers Do 'Av 'Em website.